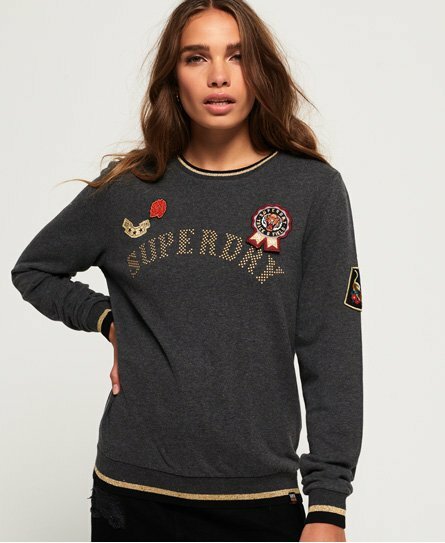 Superdry women’s Rose Army crew neck sweatshirt. This military inspired sweatshirt is the perfect companion to your favourite jeans, featuring a ribbed hem and ribbed cuffs with stripe detailing and a crew neck. This sweater also features a studded Superdry logo across the chest and a variety of badges on the chest and sleeve. The Rose Army crew neck sweatshirt is finished with a Superdry logo tab on the hem.